Hello there! How has 2019 been treating you so far? We hope that you’ve had a productive start to the year (and haven’t broken all your resolutions!) We’ve been pretty busy here at Outgrow ourselves with our new product updates and all! And so, we happily present to you the latest in our line of funnels - the Physical Product Segmentation Funnel. If you have multiple products to offer your customers or simply need to segment your users based on the products they use - the physical product segmentation funnel is just the thing for you. Have questions? Let us give answers to your when, why and how’s. First things first. When exactly can the Physical Product Segmentation Funnel serve your business the best? This funnel is ideal to use when you already have multiple existing products to sell. Using the product segmentation funnel, you get to redirect your users to the corresponding page which is the best "fit” for them. Don’t miss out on the benefits that a Physical Product Segmentation Funnel provides your business. We’ve mentioned some of them below. Have a look, marketers! You gain your prospect’s trust by asking questions that make them feel like you understand them and that you have “diagnosed” their situation. Essentially, personalization helps in converting prospects into customers because it offers them a customized experience. At the end of the Physical Product Segmentation Funnel, you lead the prospects to a product sales page that feels like a customized solution, one that has been tailored to their specific needs. Without segmentation, your target group is lost in the population. 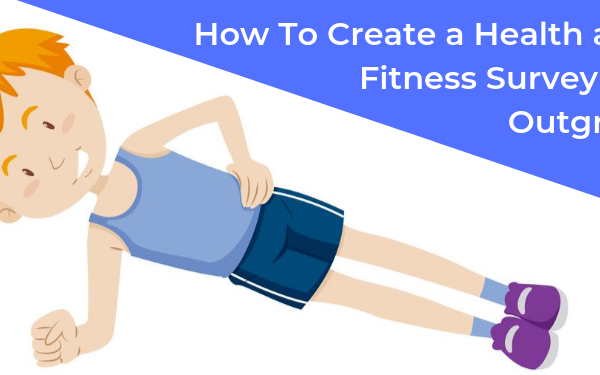 Instead of focusing on the needs of the entire market, segmentation allows you to break down the needs of everyone, specifically focusing on your target niches. The Physical Product Segmentation Funnel allows you to present the right goods to the right customers at the right time. It’s simple. Trying to sell a hamburger to a vegetarian will only lead to a wastage of time, effort, money and a poor brand image, right? 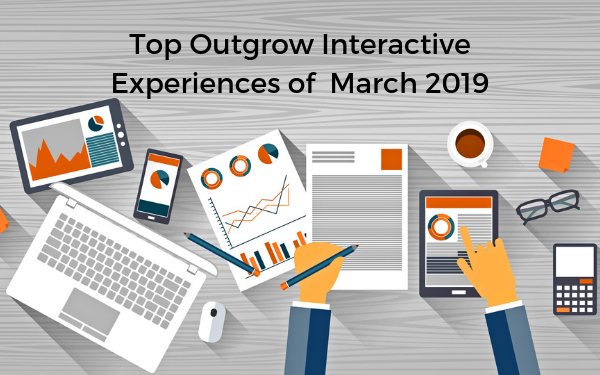 Increased Interactivity = Increased Conversions. 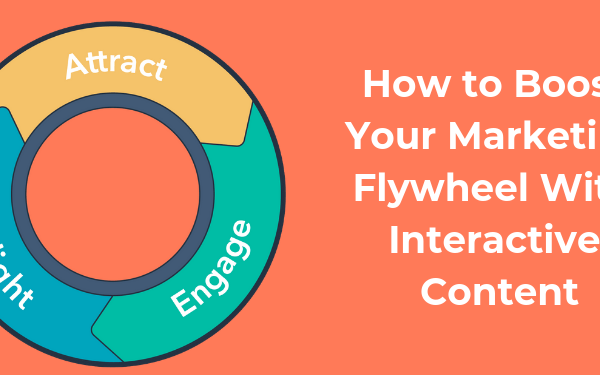 Interactive funnels help you in knowing more about your audience in a fun and engaging way. They perform much better than traditional (read unimaginative) online forms and websites. 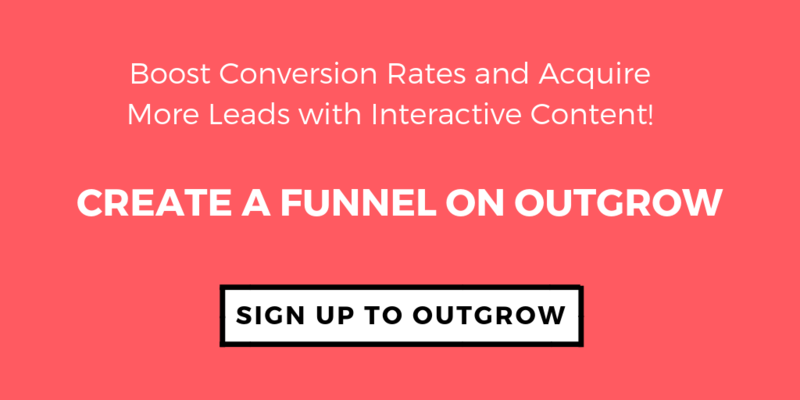 In fact, interactive funnels made with Outgrow have an average conversion rate of more than 40% whereas a great landing page usually converts at 10-15%. 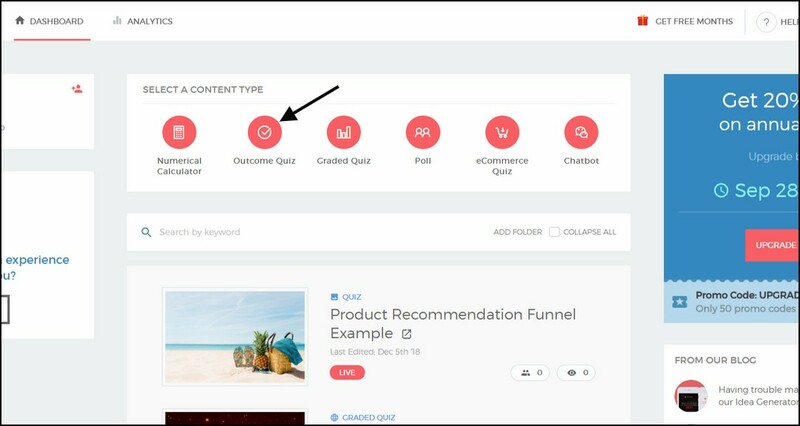 In addition, you can take people to the next stage of the segmentation funnel from the results page of the funnel itself.Sounds like a win-win to us! Creating a Physical Product Segmentation Funnel on Outgrow is an easy, time effective and simple process. Simply follow the steps below to create the magic for yourself! a) Sign up for Outgrow right here! c) Next, click on “Select a Template”. d) Scroll down the list and select the Discovery Survey Template or use our existing Example.Simply click on “Use Template” to start creating a survey of your own. e) Start by customizing your welcome screen. Make sure to personalize the survey by adding your logo, a suitable color theme etc. f) Add all your questions from the left panel and make the edits on the right. g) Now, click on “Outcomes” and add all the outcome pages you want to lead your prospects to from the right-hand side of the screen. h) Once you have added all the outcomes, go back to the questions and map them to specific outcomes under “Map To An Outcome”. i) Make sure to add a relevant Call To Action for your users! Don’t want to create a funnel from scratch? Noworries! Check out this pre-made template of a Physical Product Segmentation Funnel we’ve created. a. Make sure that the first page of your funnel is attractive and inviting. It’s called the welcome page for a reason! b. Include a progress bar in your funnel. It’s a good way to encourage your users to carry on through the quiz. c. Too many fields in the lead generation form decrease your chances of conversion. Capturing those segmented leads is definitely preferred over collecting 5 pieces of contact information, right? d. Promote your funnel extensively. You can place your funnel in front of a lead magnet on your website or advertise it to potential new customers through different social media channels. And that's brings us to the end of this blog. See you soon with another funnel post. Till then, Happy Creating!